Well, perhaps not so wee: he’s about the size of my thumb. This creature was waiting for me on the back stoop, when I got home. 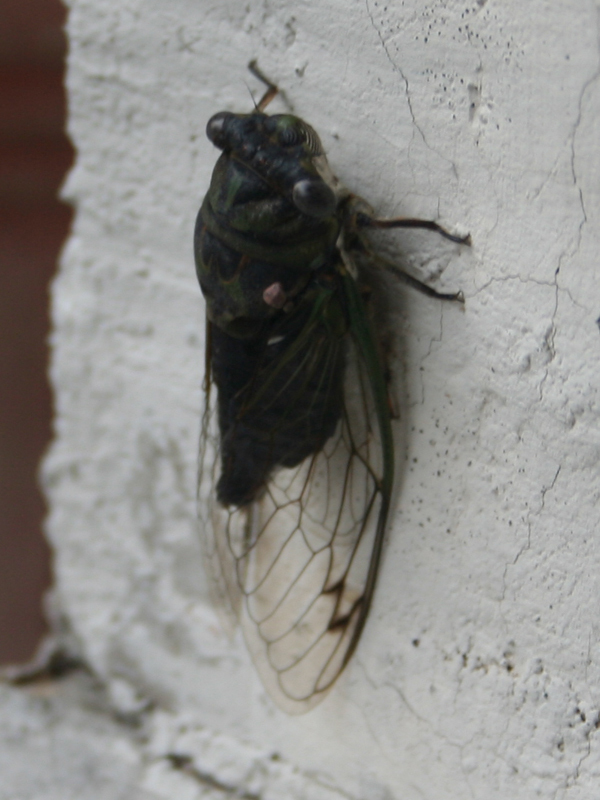 This cicada -the first I’ve ever seen!- is far more welcome than those charming feces-ejecting rock doves who sometimes congregate back there.